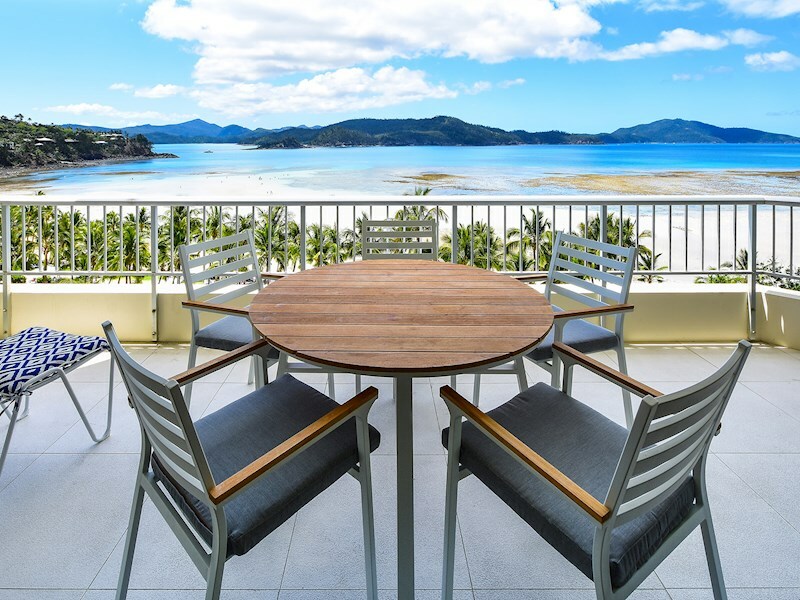 Fantastic location and incredible views. 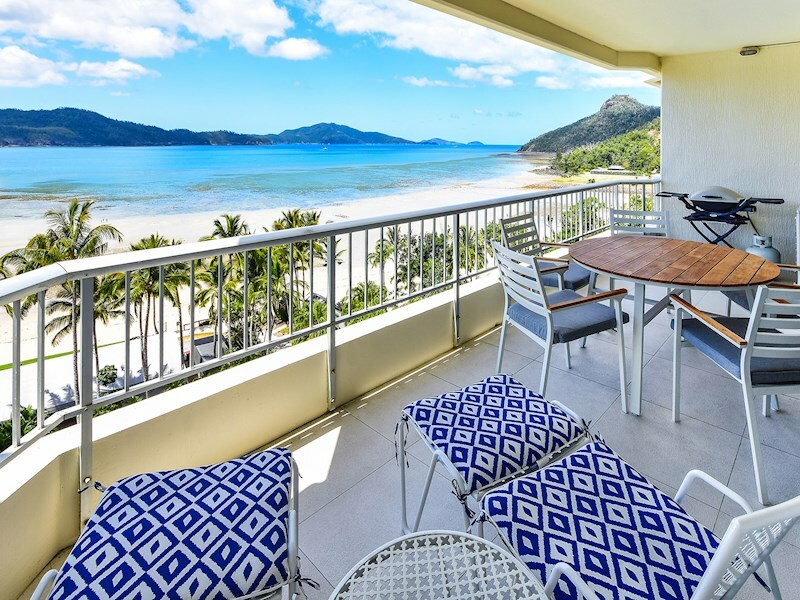 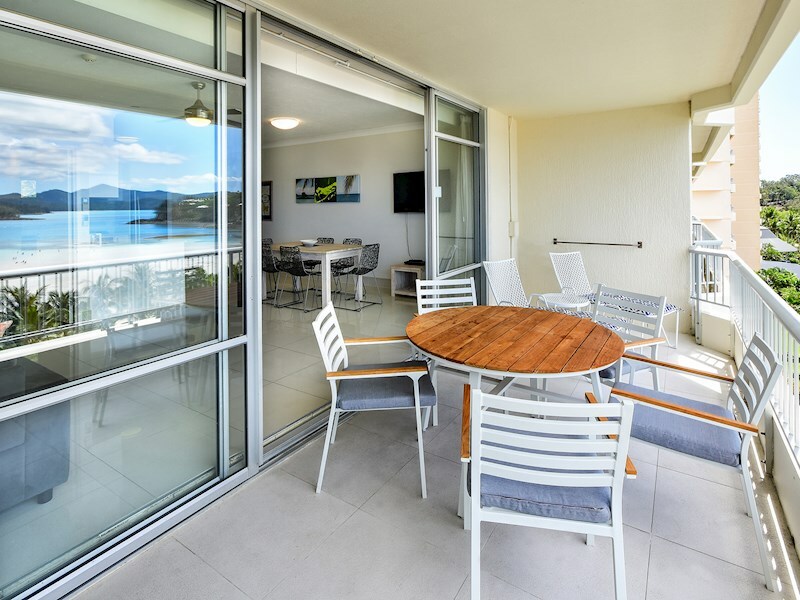 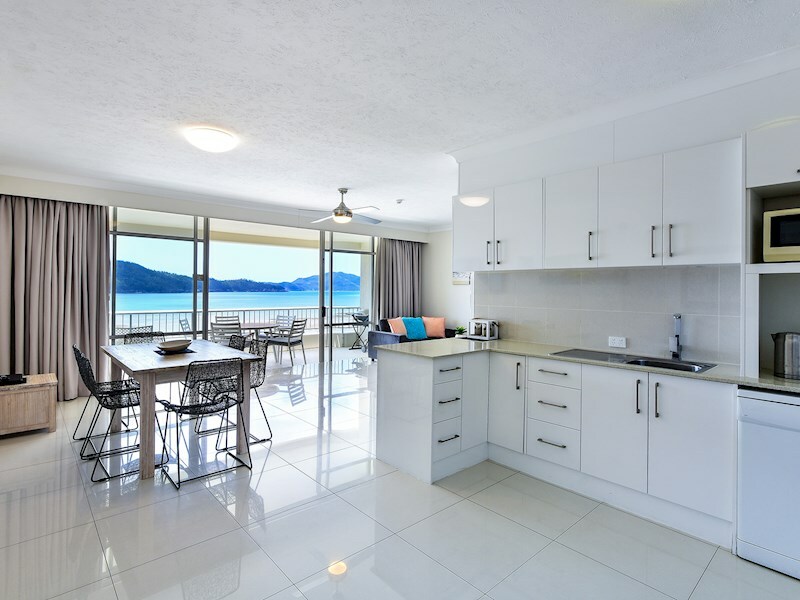 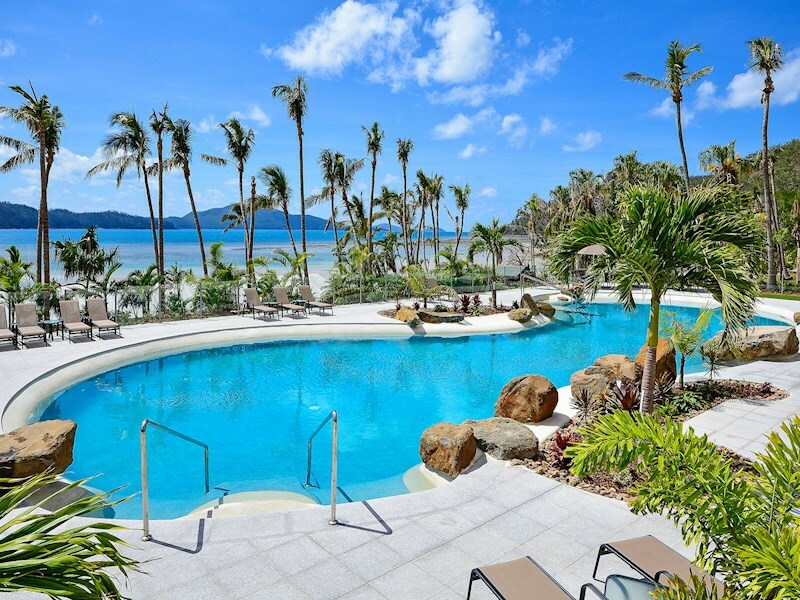 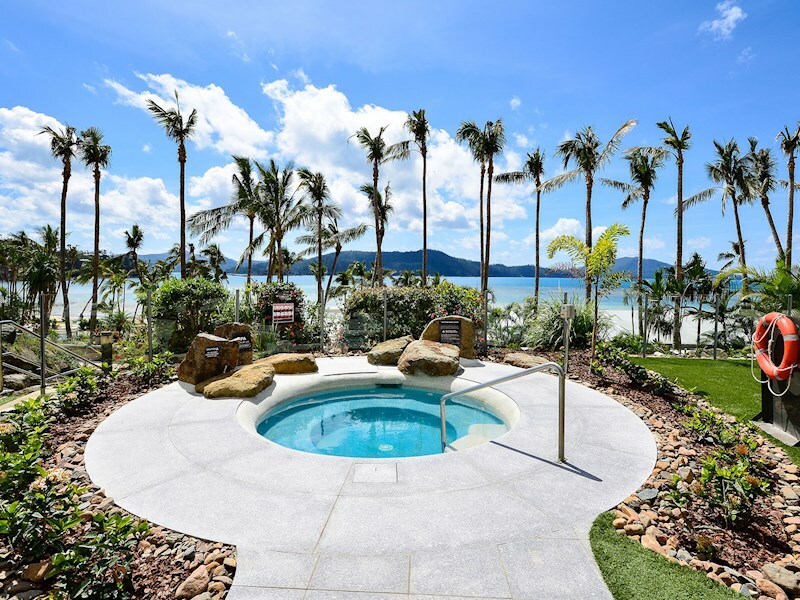 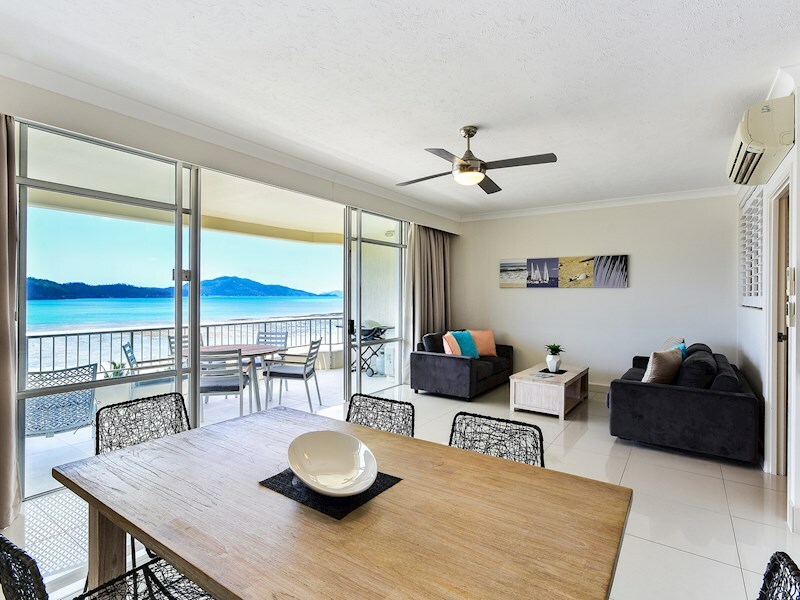 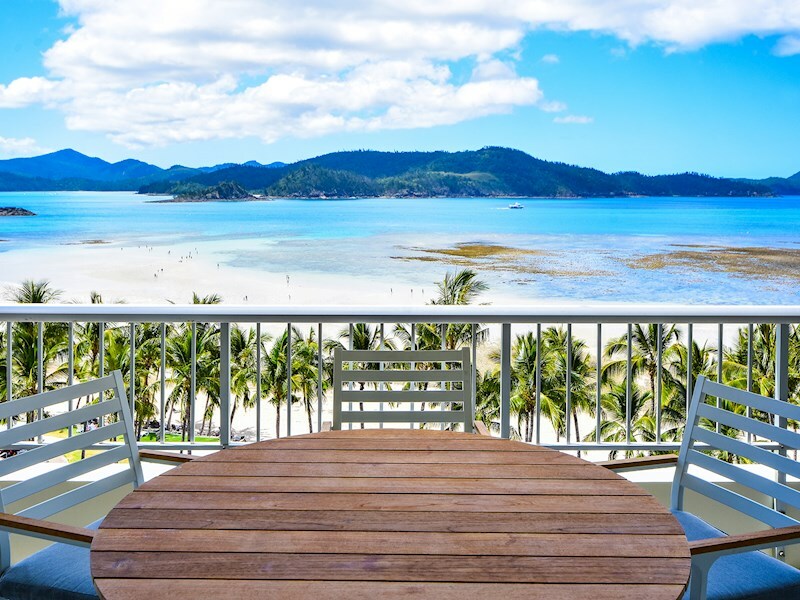 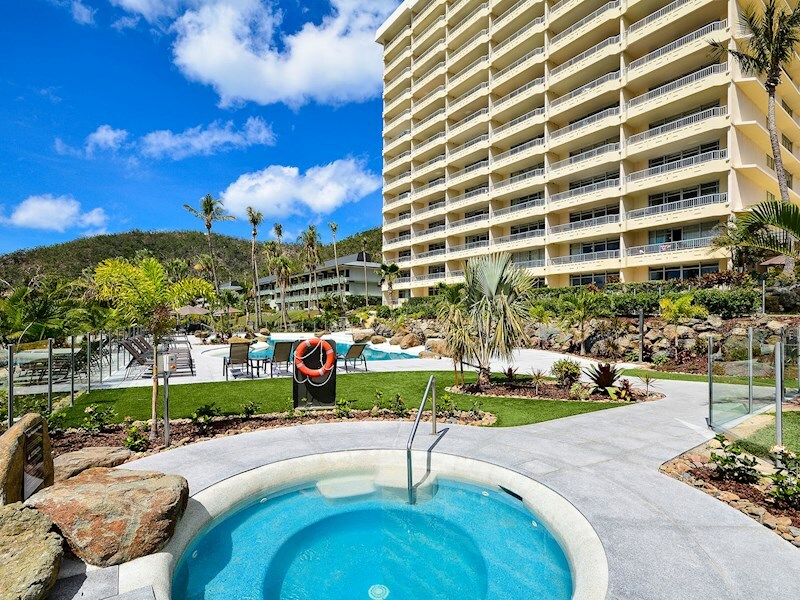 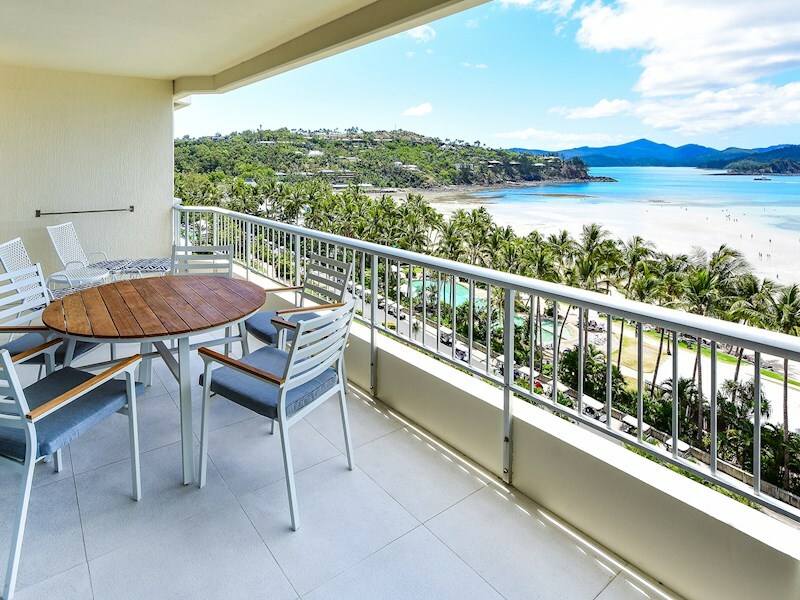 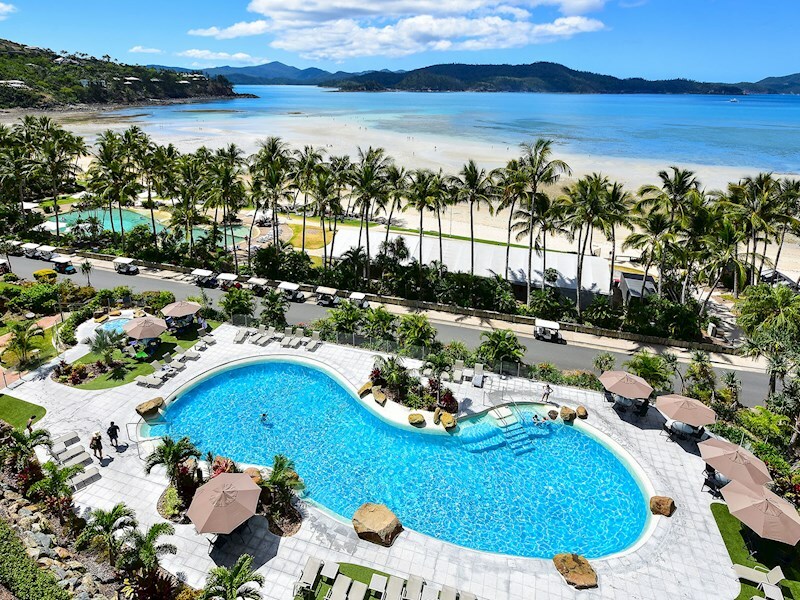 A dream couples' escape, this bright one bedroom apartment offers some of the best views on Hamilton Island. 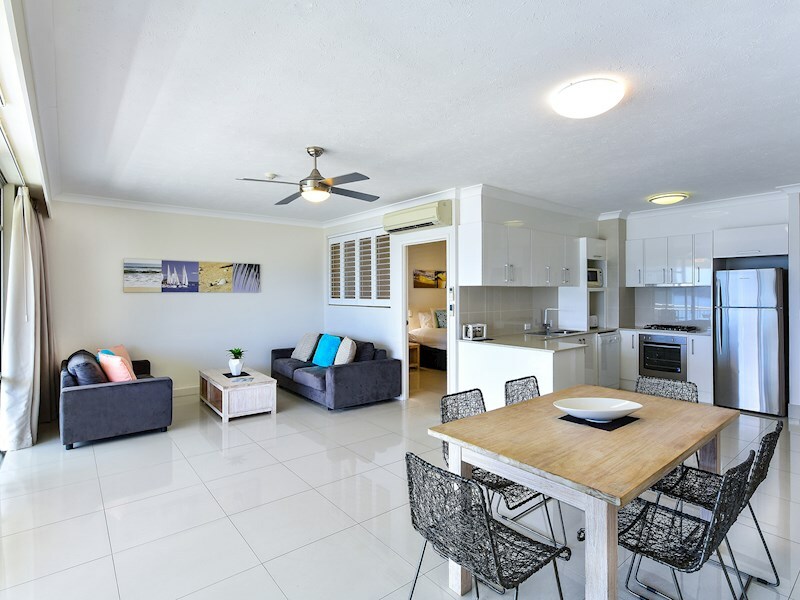 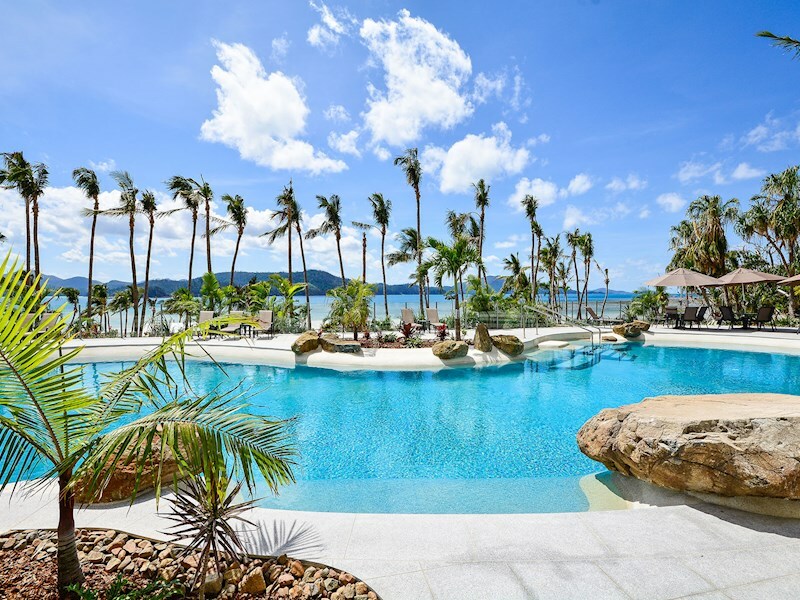 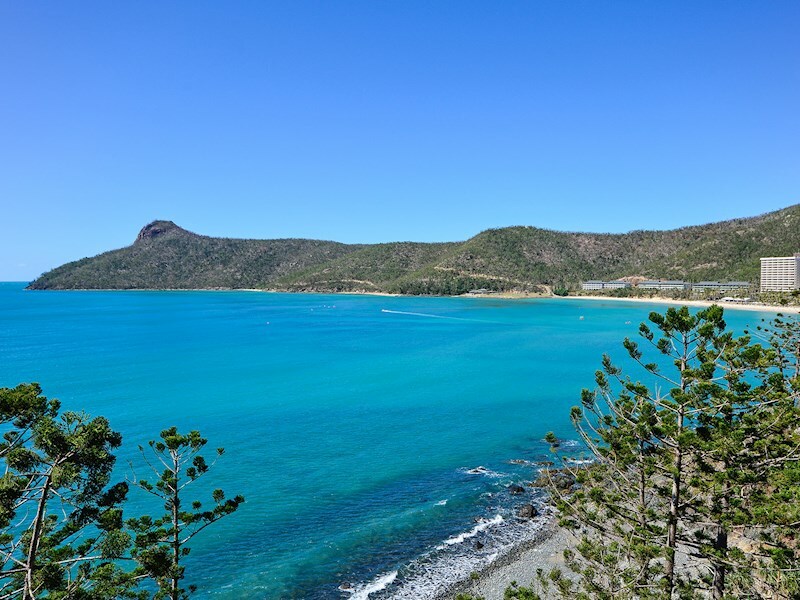 Directly across from Catseye Beach, this fully renovated, spacious accommodation has everything you need for a truly relaxing tropical getaway, including air-conditioning, a fully-equipped kitchen, smart TV, free Wi-Fi and complimentary Foxtel. 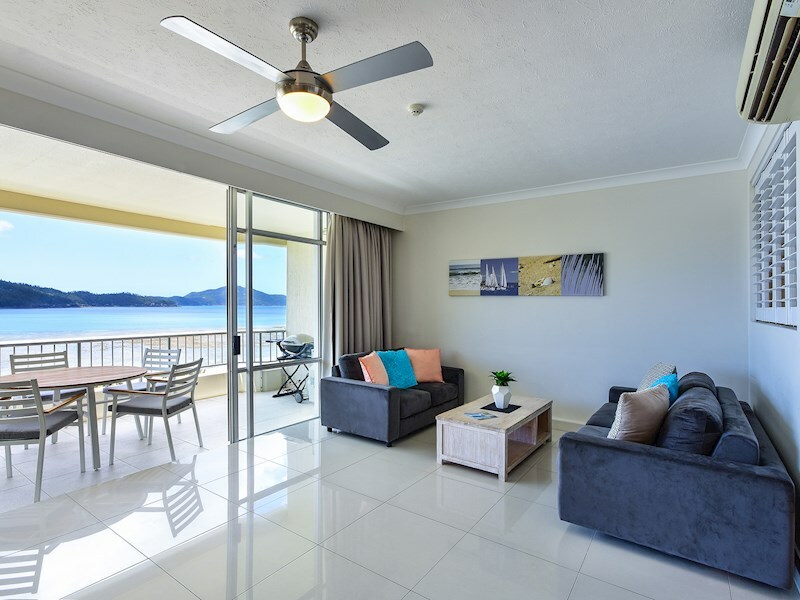 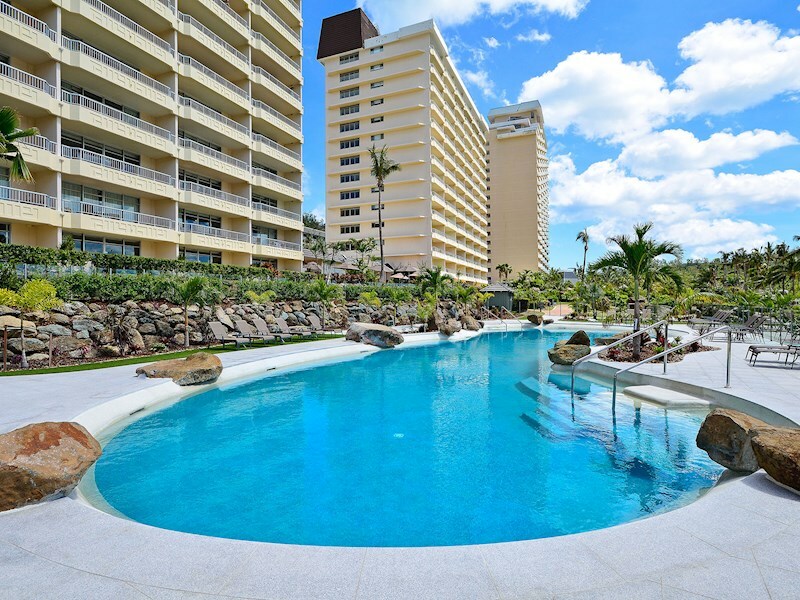 The apartment is fully air-conditioned, and there are also ceiling fans throughout. 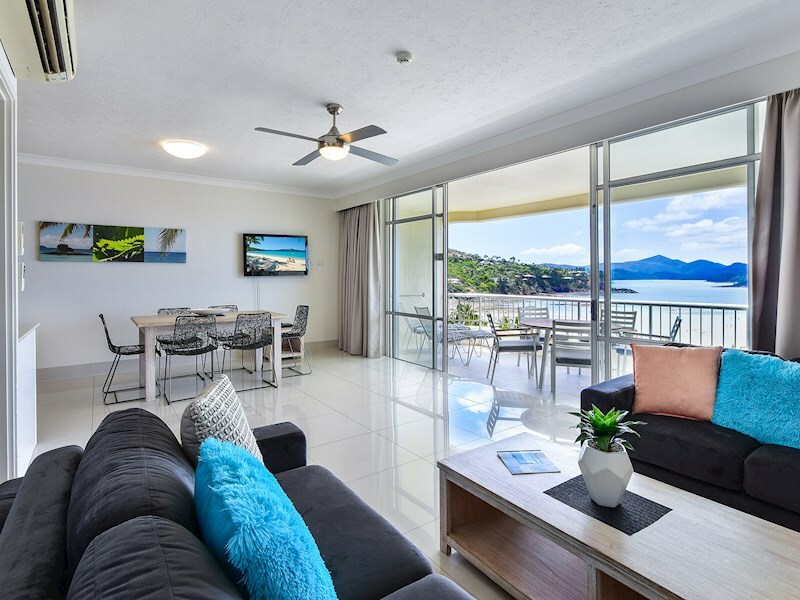 The living area also includes a flat screen TV and Foxtel. 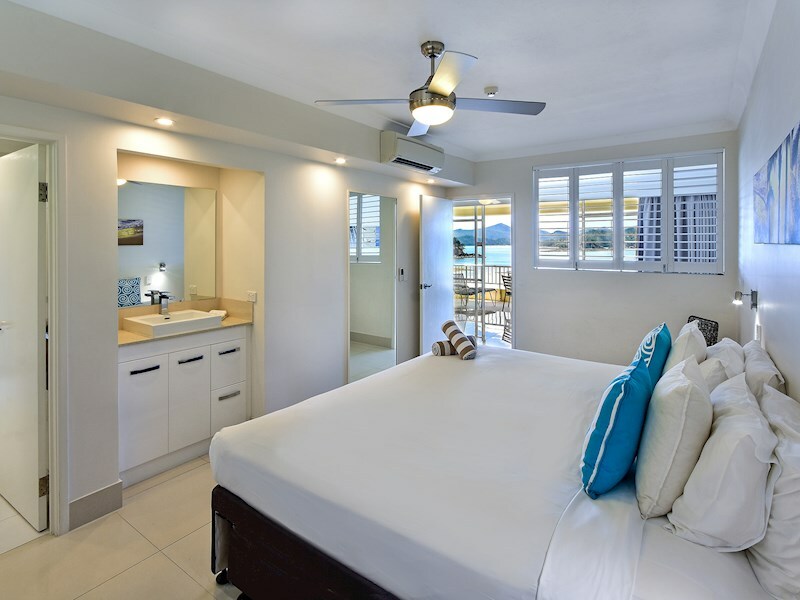 There are coin operated laundry facilities available for use on levels 3, 8 & 12. 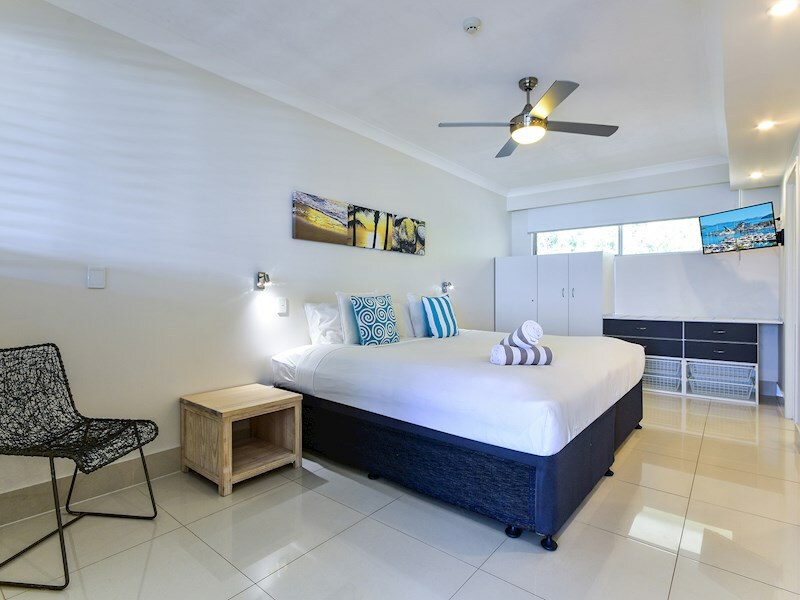 The main bedroom features a non-split king bed and two single beds - making it ideal for small families. 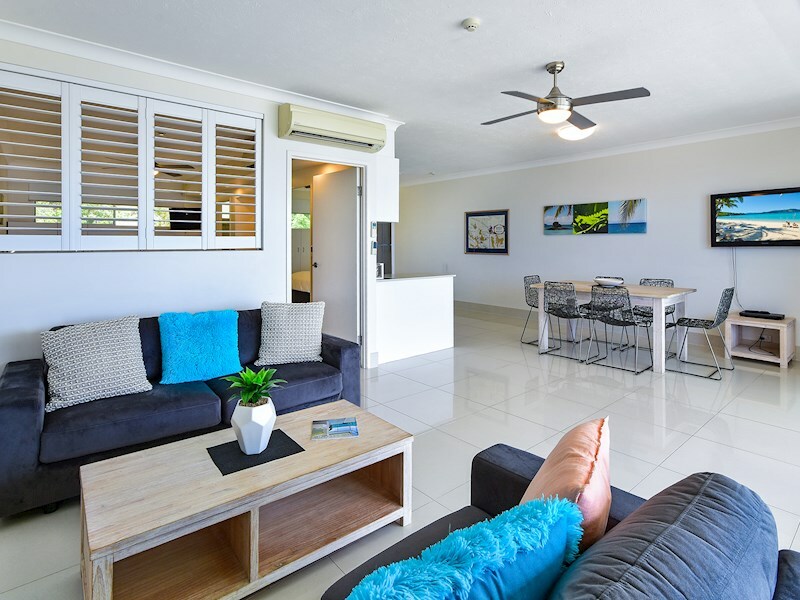 There is also a sofa bed in the living area that converts to a king bed. 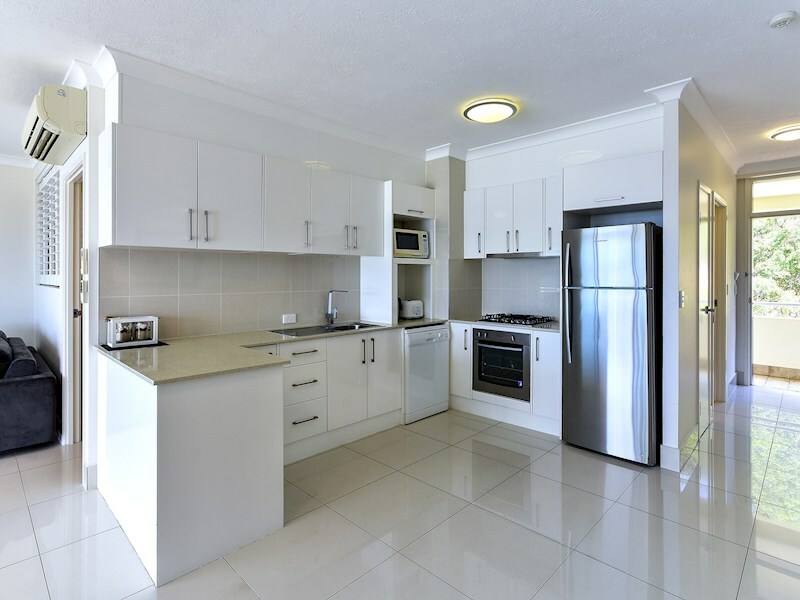 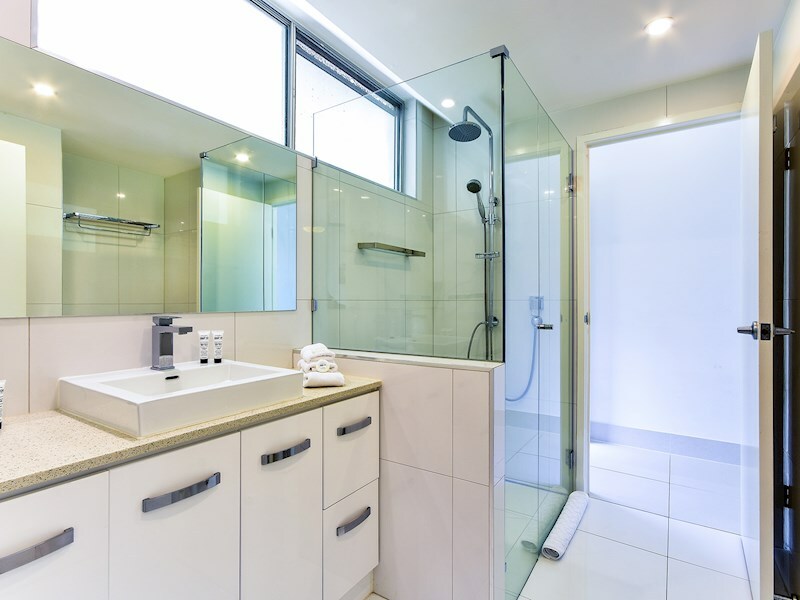 The kitchen is bright, fresh and modern with stainless steel appliances, including a dishwasher and microwave.